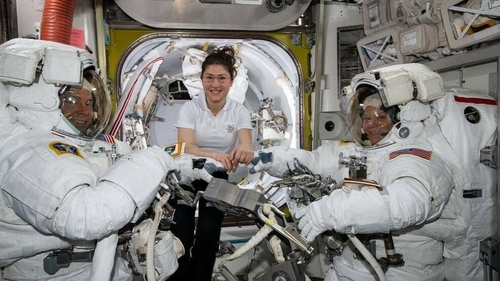 The US space agency NASA has scrapped a planned historic spacewalk by two women astronauts, citing a lack of available spacesuits that would fit them at the International Space Station. Christina Koch will now perform tasks in space on Friday with fellow American Nick Hague, instead of Anne McClain as originally planned. Had Ms Koch and Ms McClain done their spacewalk together, it would have been the first ever by two women astronauts. Until now, male-only or mixed male-female teams had conducted spacewalks since the space station was assembled in 1998 -- 214 spacewalks until now. Ms McClain worked outside the station last week - with Mr Hague - when she realised that a "medium"-sized upper half of her spacesuit fit her better. "Because only one medium-size torso can be made ready by Friday 29 March Koch will wear it," NASA explained.